Your post isn't 100% original. No one's is. It's disheartening to see someone else's post (that isn't nearly as good as yours) get a lot more traffic, especially if you put a lot of time and hard work into it. Yes, they were able to send almost 400 readers by just tweeting about something. There's no way you're going to be able to compete with the combined impact of influencers like these on your own. Think about it. If you just shared a post on "Why You Should Still Be on Team Walt," wouldn't you be likely to share another post on Breaking Bad? In other words, you just have to get your post in front of someone who's already shared something like it before. Here's how you do it. Say you find someone who previously liked a post on "how to get blog traffic" without SEO. Chances are they'll probably like your post on "getting search traffic without building backlinks" as well (if it's good). So, first, you need to find and make a list of posts that are similar to yours. Similar doesn't mean exactly alike. As in the example above, there just has to be some commonality. People who liked the post on not doing SEO probably don't like the link building aspect of it. So, a post on getting some of the benefits of SEO without building links will resonate with them. Let's break this process of finding good posts similar to yours into a few parts. This will give you a list of all related posts ordered by number of clicks per minute. This works really well for broader topics and larger niches. It's hard to find trending articles in micro niches or on a very unique topic. Famous blogs in your niche have been around for a while. Chances are some of them covered similar topics. I'm sure every social media blog out there has good posts on how to get more retweets. You don't need to get too complicated here. Keep it simple. Go to Google and search for your post topic and the name of the blog. For example, write viral headlines copyblogger. This will lead you to some pretty famous posts on writing killer headlines. If you really want to, you can use this syntax: phrase site:famousblog.com, but there's no real need. 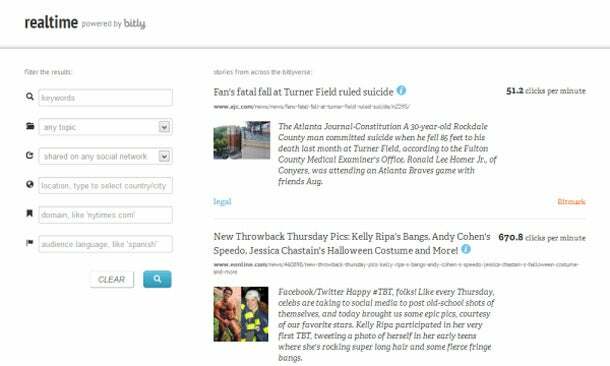 Topsy is my go-to tool for finding popular posts on any topic. 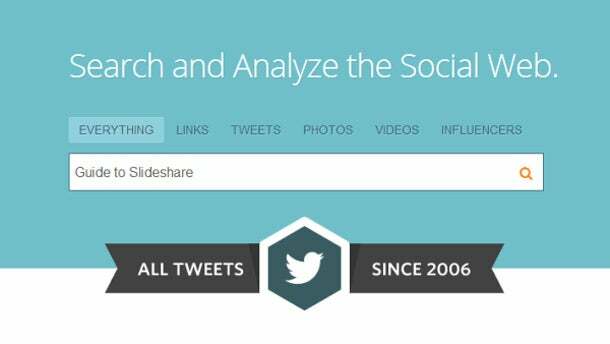 It analyzes its index of hundreds of billions of tweets and gives you the most popular and relevant tweets. Because it directly searches through tweets, it's very effective at finding posts that have received a lot of shares. 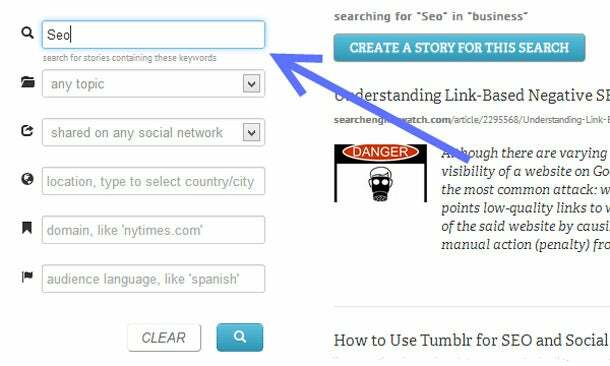 Here's what you do if you're trying to find posts similar to your epic post on SlideShare traffic. Go to Topsy and type in a related term in the search bar. In this case, it would be something like guide to slideshare. Look at that! You just found an extremely popular guide to SlideShare on KISSmetrics. You can bet that the people who shared this post on KISSmetrics would be interested in a case study on SlideShare traffic. 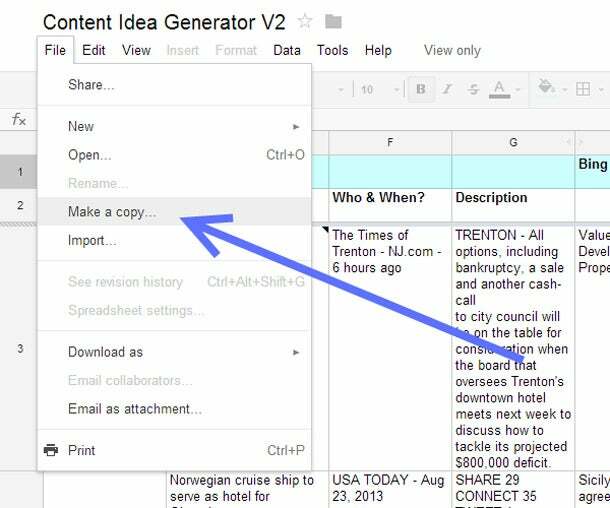 This will give you a huge list of content that's similar to yours and save you a ton of time. It then breaks down all the information into different sections by title, by who and time published, and description. When you get the tool, it'll be in view only mode. After you make a copy you can edit, enter the topic of your post in cell B3. Results from some sites (Yahoo Answers, Google discussions, etc.) aren't going to help us out much. When you do find an article that's similar, Google it. Sadly, this tool doesn't give you a link to the article. You're going to have to find it manually. Go to GroupHigh and request a demo. It'll make your life easier and serve up a lot of relevant posts. 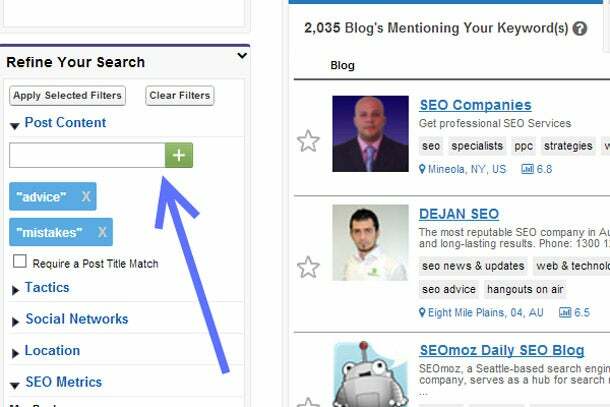 Once you're in, go to the search function on the top bar and search for the general topic of the blogs that might write similar posts. The search will give you two lists. One for all the blogs that have mentioned your topic and another for all the blogs that are centered around that topic. Stick to those that have mentioned it. There's no need for the other list right now. All the blogs here have been active in the last six months and have a MozRank of at least 2. 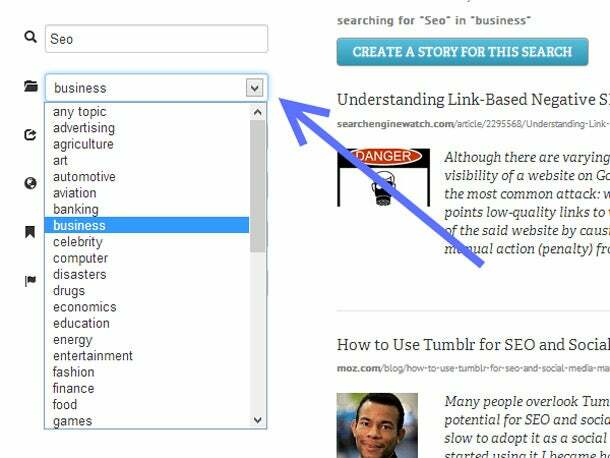 You can change the filter settings to display only blogs with a higher MozRank, but there's no real need. Search through the posts of these blogs by using the search bar under "post content" on the left. It's time to dig into who likes to share this kind of content. Look for relevant influencers who can send traffic to your particular post. Here's how you do it. 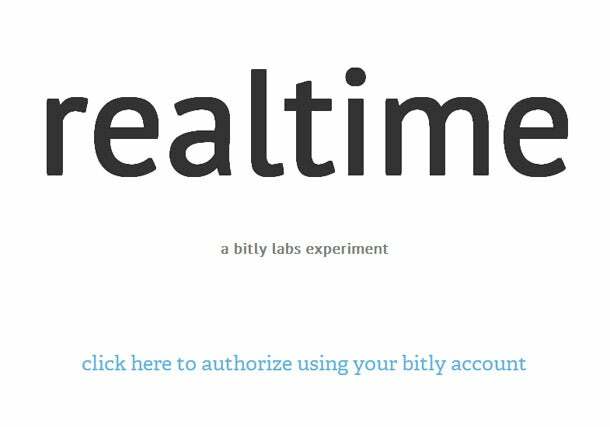 Take the first post on your list and go to Bitly and shorten the URL. Paste the link in the bar where it says "Paste a link here…" in the top right corner of the page. You will get a popup that gives you your shortened URL. Click the "View Stats" link in this popup. 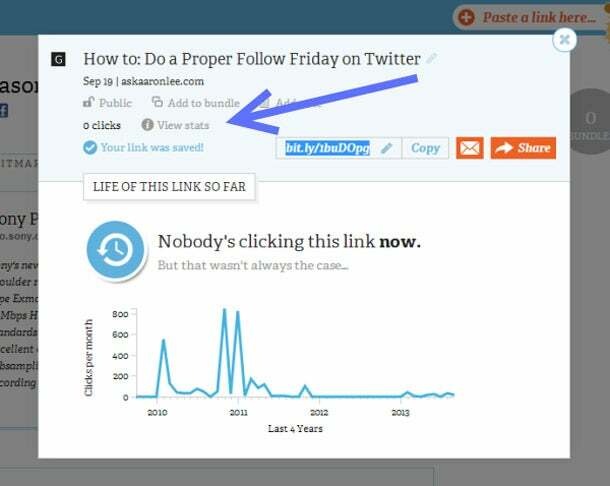 Here's how it looks for Aaron Lee's post on doing a proper follow Friday on Twitter. You can see that the first three alone were able to send almost 200 readers to the post (a very tiny portion of this post's overall traffic). Now, let's find out how these people were able to send this traffic so you can see if it's worth contacting them or not. Take a look at how much of the traffic is coming from social media. If most of the traffic is coming from "other," move on to the next person. This means they sent this traffic by linking, emailing their subscribers, or some other means. You'll have a hard time getting people to do the same for you. Make a list of people who sent a lot of traffic to these posts and the title of the post they sent the traffic to. This will be useful when you're reaching out to them. Also, make a note if this was their own post. Once you're there, you can follow through from their Twitter or Facebook pages to their blogs or about me pages. This generally will lead to their email addresses. Gregory Ciotti wrote about a case study he did on Moz, where he reached out to bloggers to get them to share his infographic. He took a look at people who he had some contact with. This doesn't mean a deep friendship. He just took a look at people he got a reply from once on a tweet or a comment. Keep these emails as short as possible, and give the blogger a reason to share the post. The reason should be simple, such as: it answers a question they asked in the post, it makes the same argument as their post, it adds something they might've missed, etc. I read about a study on Unbounce that showed reminding people of their choice increased conversions. I wanted to see how well this applied to emails. So, I tested it out by adding this sentence at the end of the email: "I'm sure you're busy, and of course, it's your call, but I'd love to hear what you think." Keep your emails short. You'll save time and get better results. I noticed that you shared a post by BloggerName on Twitter about "Title." I have a similar post on "Title" that also argues that "argument." I noticed that you shared a post by Bob on Twitter about "Title." I have a similar post that Bob just shared on "Title." Obviously, this works only if "Bob" decides to share your post. This is why you contacted the people who wrote the posts first. If any of them decide to share, you can use the second version of the email. This works so well because the person's going to bother checking you out when they hear you're connected to the influencer. This shows them your post is credible and you're not some spammer. Think about it. Wouldn't you be much more likely to share if you have a mutual friend? Or what if someone you respect shared it already? Save these emails for last and email the bloggers first. That's it! You just got your post shared and linked to by a ton of influential people. Now, this post took a lot of time to write, so if you found it helpful do me a favor and share it with a friend.